Ever since we produced "Snow Valentines" back in 2005, we've been wondering about creating other atmospheric effects in our pieces. 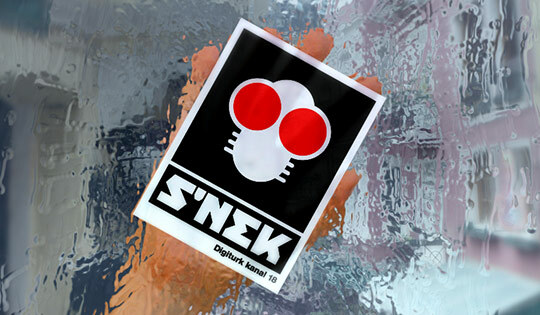 With the set of Autumn fillers for S'NEK, the opportunity finally presented itself. We generated rain maps (for both distant rain and the drops on the glass) using particle systems and then fed the information to a variety of distortion plugins to create a realistic drops of water on the window. The project was fun to work on, but complete pain to compute - over 25 layers of intense particle effects is something our 2006 render computers hated us for. The project was executed on such tight schedule, there was practically no time for a photo shoot. 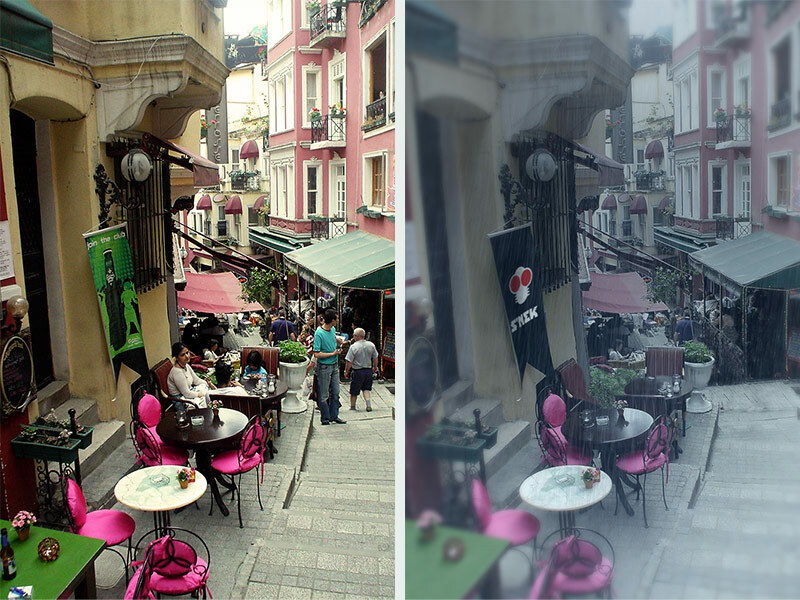 The photos used were taken in the middle of summer, in full sun and then color-corrected. The photograph for the "French Street" has all the people photoshopped out of it - the place is always crowded, day and night.